Without a doubt there will be an indicator on the instrument cluster indicating to the driver the status of oil level . This was a feature on the W168 and so there is every reason to believe it applies to this model as well. The indication will be whether the engine requires oil, or if there is too much ! Much more likely after service, that the engine has been over filled with oil, this is shown as :- Hi on the instrument cluster. 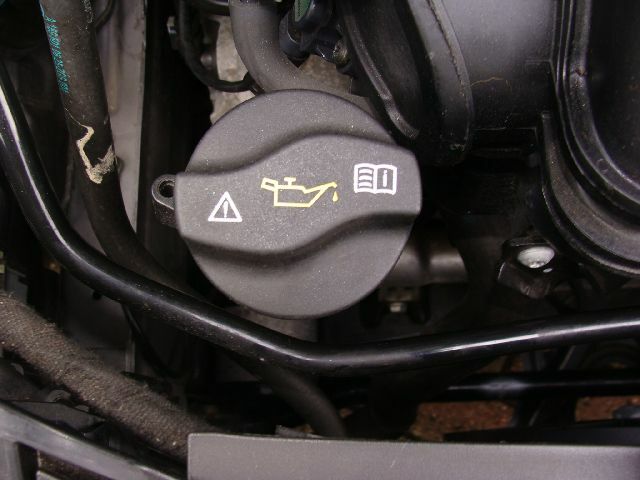 The first thing to do, if you do get this warning is to allow the oil to settle for several minutes if the engine has been run, and then physically check the level using the dip stick which is situated under the bonnet. 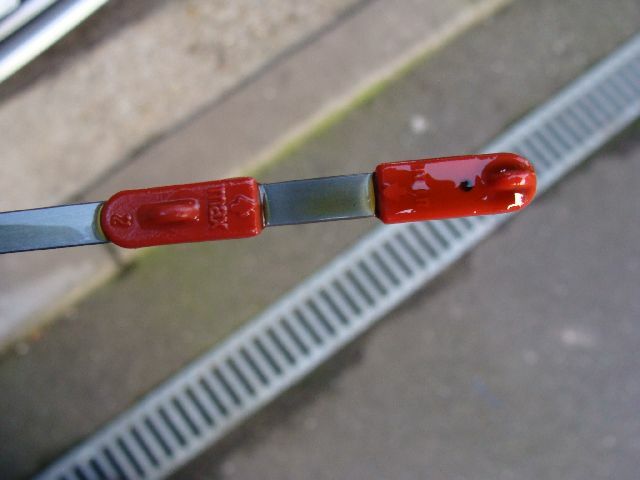 Clearly shown as a red pull handle, if this is the first time you have pulled the dip stick from the car then you will wonder how much more of it is to come, as it seems to be longer than the W168 stick, In fact it is just under 3.0 feet long. This is of course due to the way in which the engine is positioned in the car laying at approx 45 degrees. If the dip also shows a high reading I.e. above the top mark then some oil should be withdrawn to get it back to the correct level, if your service was done by a garage, then they are just the boys to take the excess oil out, not to do so could put your engine at risk. See your owners handbook if in doubt. I only encountered this once with my previous 'A' Class and that was after service by MB, rather than drive a 40 mile round trip I drained a small amount , about a litre from the sump and then topped back up using some of the drained oil to the correct level. Many Garages will drain you old or used oil with a syphon pump. Because my wife has a 'Smart' Car which has no drain plug on the sump, I purchased such a hand pump which worked on the W168 , however I have not managed to get it to work on the W169 my present car. but having now measured the dip stick, may need a longer pick up tube. This method of removing the used oil is useful if you do not have a means of getting under the car and do not want to commit to a full service which is what Mercedes will want to do, failing that they will not re-set the service assyst. Just as a point of interest, I found my oil filler cap to be very stiff indeed to remove , it does come off anti-clockwise and of course needs to come off if you are changing your oil. Don't Panic if you find emulsion in the neck of the filler, this is very common on the 'A' class and is caused in the main by too many short runs, take the car on a decent run and this will disappear. 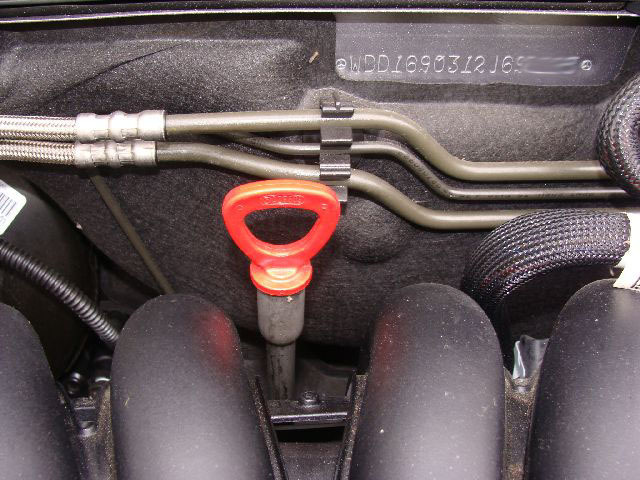 The drain plug is located on the back end of the sump casing and on my car required a 13mm ring spanner. to remove this you will need require you to get below the car. For further information please see mypage 46 W168 section. All oil change details on that page apply to this car as well, however use your Vin number to ensure you get the correct filter cartridge for your W169. Removing the oil filter cap from the oil filter housing is precisely the same procedure as for the W168 socket extensions will be required to reach and remove the filter, have absorbent material/cloth available to wipe up spillage , dispose of oil and filter in a safe manner. The oil specification for the A class models is Mobile one 0-40 in warmer climates different viscosity oils may be recommended. 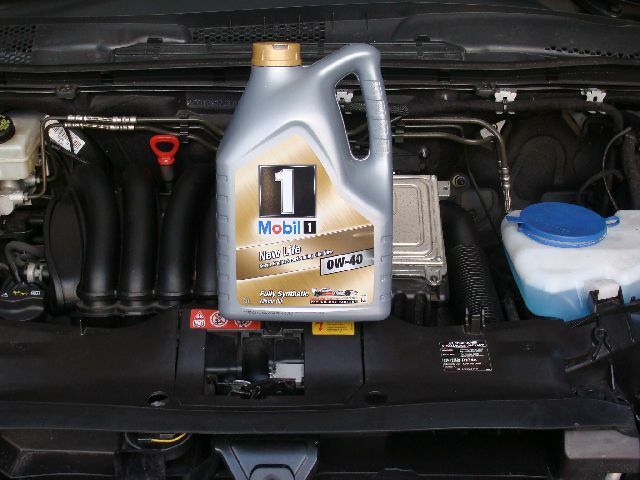 to save me duplicating information please read this page in conjunction with :- mypage 46 where you will find a more detailed explanation for changing the oil. Both the W168 & W169 'A' Class models are the same for this procedure. 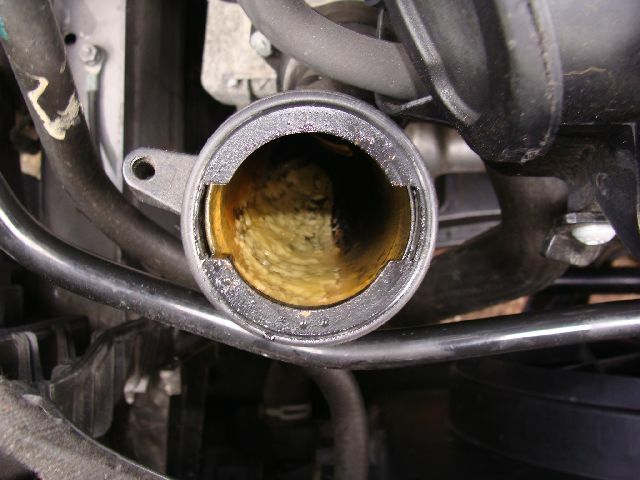 The filter is different so ensure you have the correct filter for the car before removing ht eoil and filter. With the new filter you will find two 'O' rings the large one A is the filter cap seal and is fitted into a groove on the cap. 'O' ring B	the small one fits on the hexagonal nut on the cap, this allow the cap to be supported in the 27mm socket while removing and refitting. 4 Small flat bladed screwdriver to remove old/used 'O' rings. I strongly reccomend that you fit the cap back onto the metal housing and screw the cap into the housing by hand, this will ensure the plastic cap is not cross threaded and as a result damaged, then fully tighten using the socket BUT do not over tighten.